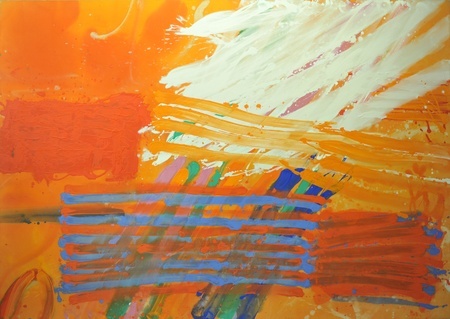 Gimpel Fils presents a memorial exhibition dedicated to the memory of Albert Irvin, recently deceased. Irvin's passionate abstraction is well recognised and the artist himself, known to all as Bert, was a universally admired and loved human being. Irvin first attended art school in the early 1940s. His studies were interrupted by military service in the RAF, where Irvin was a navigator. In 1946, Irvin resumed his studies, at Goldsmiths College in London, an institution to which he will return as teacher. In 1965, Irvin becomes a member of The London Group. In 1980, he starts producing screenprints with Advanced Graphics, a collaboration which continues until his death. Irvin joins Gimpel Fils in 1982 and enjoys a similarly long association. Among institutions in which Irvin held one-person exhibitions are the Ikon Gallery, Birmingham; Third Eye Centre, Glasgow; Talbot Rice, Edinburgh; Serpentine Gallery, London; Oriel, Cardiff; Galerie Klaus Lupke, Frankfurt; Centre d'Art Contemporain, Meymac, France; Royal West of England Academy, Bristol; Peppercanister Gallery, Dublin; King's Place London and Gimpel & Muller, Paris. Public collections include the Tate Gallery; Arts Council; British Council; Contemporary Art Society; Manchester City Art Gallery; Victoria & Albert Museum; Art Gallery of New South Wales, Sydney; Irish Museum of Modern Art, Dublin; Stuyvesant Collection, Holland. Rather than hold a private view on the opening day of the exhibition, Gimpel Fils have chosen to hold it on the anniversary of Bert's birthday, 21 August.